Dolly Parton invites “Coat of Many Colors” illustrator, Brooke Boynton-Hughes to her Meet & Greet at the Red Rocks tour stop. 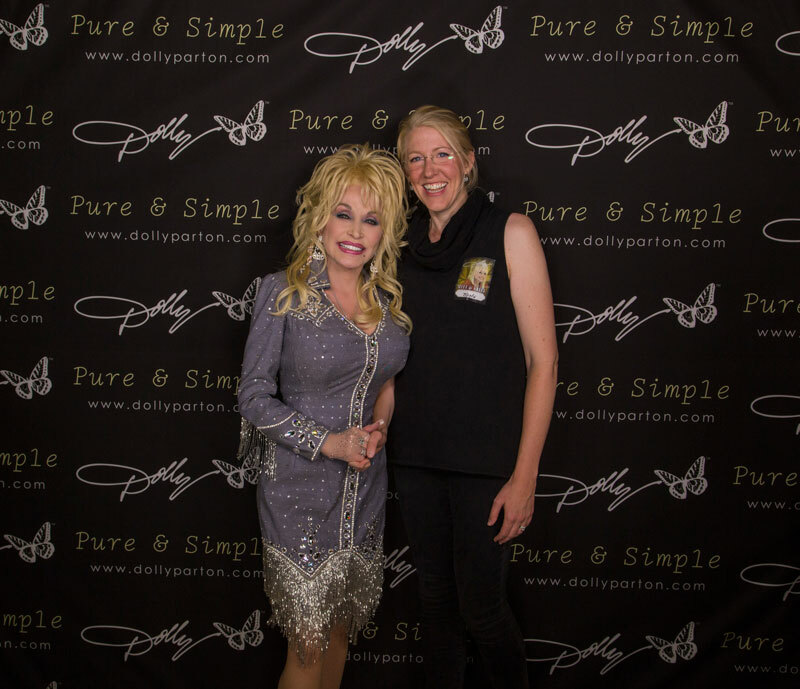 The only thing as bright as Dolly’s rhinestones at her Red Rocks Meet & Greet event was the smile on Brooke Boynton-Hughes face! The Colorado native contributed beautiful illustrations for the re-release of Dolly’s children’s book, “Coat of Many Colors.” Within the pages of the book, Brooke’s art brings the story of the song to life. The little yellow-haired girl in her handmade coat is a perfect likeness to a young Dolly. Her cheeks, rosy with excitement about wearing her one-of-a-kind coat! Like Dolly and Carl, Brooke and her husband enjoy traveling the country in their RV (named Daisy) along with their dog, Olive. She holds a BFA in Printmaking from Colorado State University and an MFA in Figurative Art from the New York Academy of Art. She has been a member of the Society of Children’s Book Writers and Illustrators since 2005. 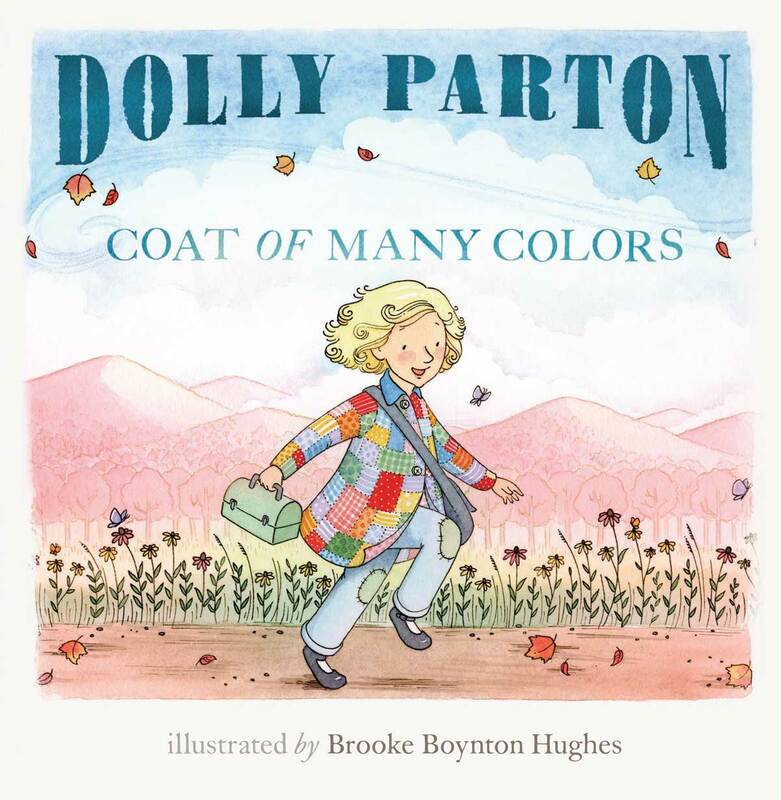 “Coat of Many Colors” by Dolly Parton and illustrated by Brooke Boynton-Hughes is due out on Oct. 18 by Grosset & Dunlap, an imprint of Penguin Young Readers. Penguin Young Readers will publish Dolly Parton’s children’s book “Coat of Many Colors” with all-new illustrations by Brooke Boynton-Hughes. 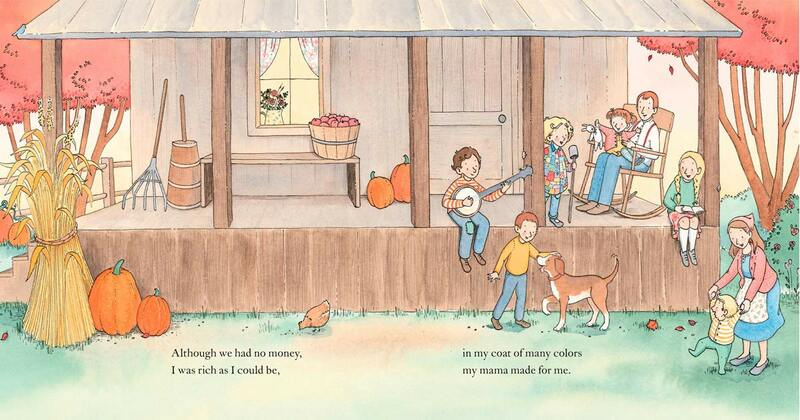 Dolly Parton will publish “Coat of Many Colors,” a picture book for young readers, with Grosset & Dunlap, an imprint of Penguin Young Readers, on October 18, 2016. The book, with all-new illustrations by Brooke Boynton Hughes, will feature “Making Fun Ain’t Funny,” a downloadable exclusive original song written by Dolly. 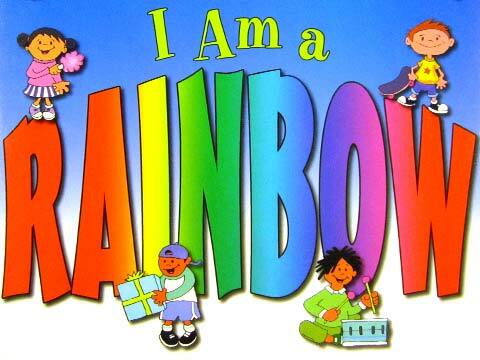 Coat of Many Colors is the latest project in Dolly’s longtime mission to foster a love of reading in children from a young age. In 1988, she began the Dollywood Foundation to inspire children in her home community to dream more, learn more, care more, and be more. The Foundation’s signature program, Dolly Parton’s Imagination Library, works with local affiliates to give every preschool child a book each month from birth to age five. The Imagination Library has gifted over 80 million books in Australia, Canada, the United Kingdom and the United States. The program has enjoyed a long-standing partnership with Penguin Random House. Following the publication of the book, NBC will air the sequel to last year’s hit television movie “Dolly Parton’s Coat of Many Colors.” In “Dolly Parton’s Christmas of Many Colors: Circle of Love,” the Partons, a family of humble means living in the mountains of Tennessee, face a devastating event that challenges their will. But when they experience a bewildering Christmas miracle, the Partons are drawn closer together than ever—with deepened faith and love for one another. This summer, Dolly will embark on her “Pure & Simple” tour traveling to 60 cities across North America. 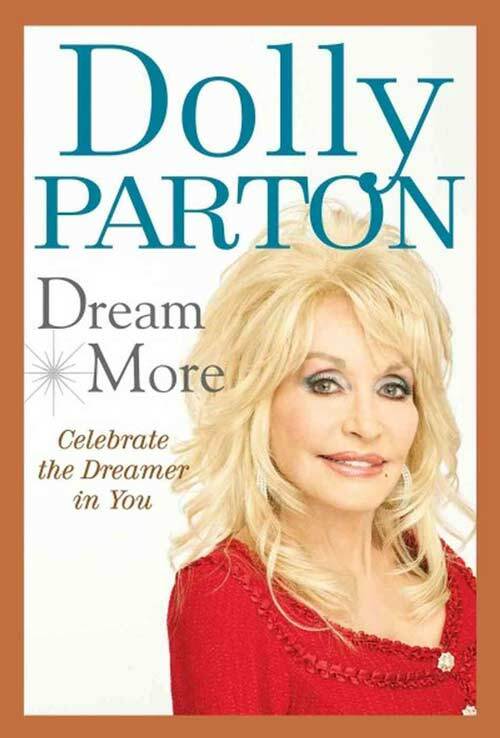 The tour includes a stop in Pigeon Forge, TN on Nov. 15 benefiting Dolly’s Imagination Library. Brooke Boynton Hughes is an artist and illustrator originally from Loveland, Colorado. She received her BFA in Printmaking from Colorado State University and her MFA in Figurative Art from the New York Academy of Art. Brooke works on children’s books and travels around the country with her husband, Bill, and their dog, Olive. Penguin Random House is the world’s most global trade book publisher. Its publishing lists include more than 70 Nobel Prize laureates and hundreds of the world’s most widely read authors. The book was released in hardcover in 2012 (Putnam Adult) and paperback (Riverhead Trade) in 2013 with all proceeds benefiting her Imagination Library project which provides free books to participating kids from birth to age five in Australia, Canada, the U.K. and U.S.
Dolly sees the book as a collection of inspirational stories from her own life that might help others. 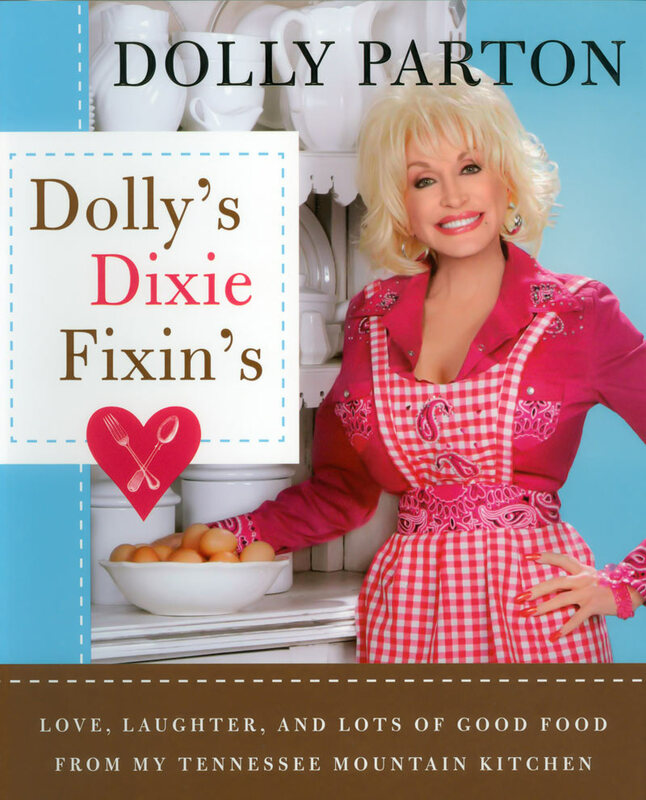 In 2006, Dolly published her first cookbook, “Dolly’s Dixie Fixin’s: Love, Laughter, and Lots of Good Food” on the Viking Studio (Penguin Group) imprint. The cookbook includes 125 recipes from her mother Avie Lee Parton, her mother-in-law ‘Mama’ Ginnie Dean, Dollywood restaurants, Dixie Stampede kitchens, and her own travels and meals on the road. The recipes are paired with pictures of Dolly’s family, friends and her performances. The book also includes discussions of her childhood and musical career. Most important, all the proceeds from the book go to support her Imagination Library (which provides monthly books to children through the mail) through The Dollywood Foundation. “Dolly’s Dixie Fixin’s Cookbook” is available for purchase from The Dolly Shop at the Imagination Library.